I'm working on a project and I have to choose an electric motor. I need about 15KW of power and as much torque as possible. It for an off-road vehicle that we are trying to design a fuel cell system for it. Could you suggest a motor? Here's what I'd do: ask Netgain Motors. 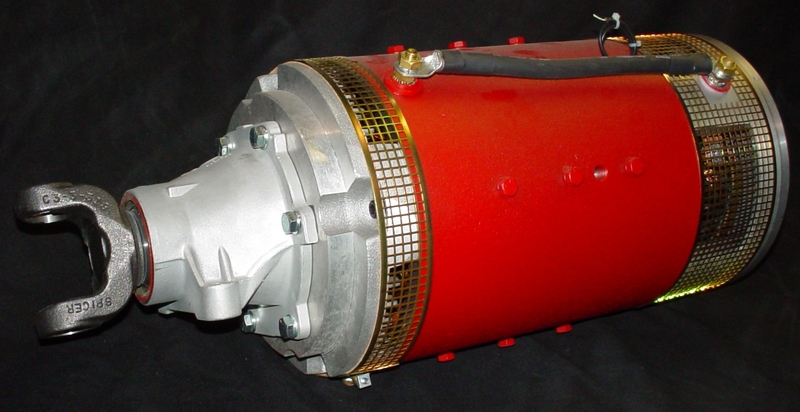 Any EV drag racer will tell you that Netgain's WarP and ImPulse motors are the lords of torque! What's more, they've got their own motor selection software, so that you just tell them what kind of vehicle you're building, how heavy it is, what you need it to do, what conditions you'll be driving in...and they'll tell you which motor is the right one. P.S. 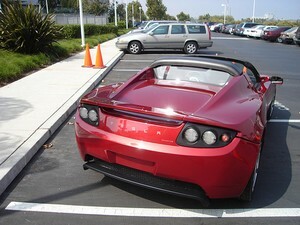 Read more about electric car motors here. Best size for electric car motor? What is the best sized electric car motor? First, how much weight do you have to move, and how fast do you want it to accelerate? The heavier the load and the snappier the acceleration, the more powerful the motor will need to be. Second, is it a DC motor or an AC motor? You can get a good conversion kit for either set-up; the AC drive system is more efficient. Third, are you keeping your transmission, or ditching it for direct drive? Direct drive requires a more powerful motor. Fourth, how hilly is your terrain? If you drive your EV in hilly territory, like me, then let that sway you to the next larger size motor. As is often the case, Martin, bigger IS better... no matter what they say. Why? Because if you get a motor too small for the job you're asking it to do, you'll overheat it, you'll stress it out, and sooner or later it will give out. Expensively. The only downside of getting too big a motor, erring on the side of too large, is that you're adding weight that might be better spent on batteries. How do I go about determining the proper size of the electric motor for the weight of the car being converted to electric? Now, if you call up the EV parts suppliers, you don't have all that many choices. Chances they're going to sell you small, medium or large, and which flavor, AC, or DC? If you were going that route, James dear, I suppose you'd be asking them your question. But here you are, asking me, so I'll go out on a limb and guess you must be scavenging a motor from a forklift or something along those lines. Hm? Can you say a little more about the car you're planning to convert, and do you already have a motor donor in mind? I am thinking of converting my 89 Honda Civic s/w to an all electric power driven system. I really don't want to go to a kit. Can you recommend some different ideas? You've got a lightish car, with lightish bone structure, so a smallish motor would be best. To paraphrase Hi Torque Electric's Jim Husted on this subject - think about this in terms of motor weight. Somewhere between 100-150 lbs. is the Goldilocks "just right" point for your car's electric motor choice. Bigger, and you're looking at dimension challenges (and sacrificing weight that could go toward your battery weight budget); smaller, and you're looking at cooling issues. DC motors tend to be a bit heavier, AC motors a bit lighter. Industrial, continuous-duty motors tend to be bigger, intermittent-duty motors smaller.